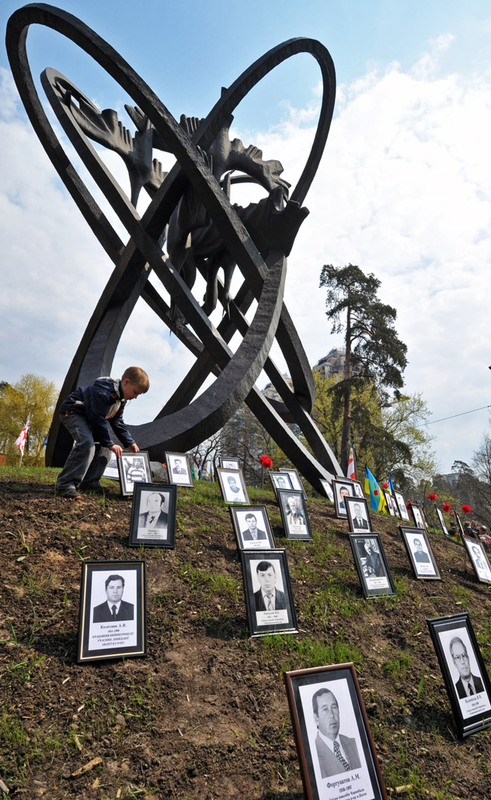 A boy places a portrait of his late grandfather during a memorial ceremony at the Chernobyl victims' monument in Kiev on April 26, 2011. The world today marks a quarter century since the worst nuclear disaster at Chernobyl in Ukraine. AFP PHOTO / SERGEI SUPINSKY.